Hawai’i is a beautiful state for bicycling. Tourists and locals alike enjoy the miles of scenic paths and roadways year round. In fact, many regularly ride bicycles to work. Unfortunately, the threat of serious injury is always present when bicyclists use the same roads as motor vehicles. Other drivers who are not paying attention can easily and unintentionally swerve into a bicyclist. All motorists are responsible for exhibiting extra caution around bicyclists. When they fail to honor that expectation, injuries can happen. Motor vehicles may come away from these accidents without even a scratch, while bicyclists may experience serious injury, hospitalization, or even death. If you or someone you know has been injured in a bicycle accident, you may be able to secure compensation for medical treatment expenses, lost wages, and other costs associated with an accident. 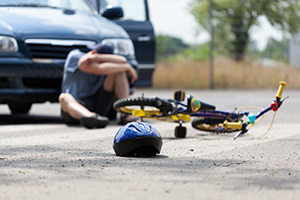 At the Law Office of Dennis W. Potts, you will find experienced counsel who understand the laws regarding bicycle and auto accidents in Hawai’i. With more than 40 years of experience, Attorney Potts is here to offer legal counsel regarding your bicycle accident and can start preparing your legal claim right away by talking with investigators, insurance adjusters, and other parties, so you can focus on healing. In this state, car insurance is responsible for paying for bicyclist injuries after an accident. The law looks at bicycle accidents in the same way they do pedestrian accidents. The driver of the motor vehicle will be responsible for paying the cost of medical expenses at a minimum of $10,000. The vehicle’s insurance is required to pay this amount regardless of who was at fault. Intersection collisions, where cars fail to see a bicyclist’s path while turning or crossing traffic. Stop sign and red light accidents. Failure to provide adequate space between a vehicle and a bicycle on the roadway. As a bicyclist, you are responsible for following the same rules of the road as vehicles. Always exercise caution when bicycling or driving in heavily traveled areas to avoid these deadly and devastating accidents. After an accident, you may be faced with surmounting medical expenses, time off of work, and life-changing injuries. An accident is almost always an emotional experience as well as a physical one. Get the compensation you deserve and hold the responsible party accountable by seeking counsel from an experienced bicycle accident lawyer with a track record for success. When you come to the Law Office of Dennis W. Potts, your case will start with a free case evaluation. Attorney Potts will talk with you about your unique case situation to determine the best course of action. If you decide to pursue a case, he works under a no recovery, no fee policy. This means you will not pay a dime if he does not secure compensation on your behalf. His ultimate goal is to ensure you are fairly represented after an accident so you can start rebuilding your life. Attorney Potts understands the state’s no-fault insurance laws and relies on his team to conduct thorough investigations after an accident. From evaluating roadway defects to reconstructing an accident for trial, he can uncover the evidence needed to build a strong case on your behalf. In some cases, the bicycle’s construction may be to blame for an accident. In those cases, it may be necessary to bring a lawsuit against a parts manufacturer or bike company. Attorney Dennis W. Potts will help you uncover the true facts about your case and seek justice by taking action against those responsible for your pain, injury, and suffering. For more information, reach out today at (808) 537-4575.